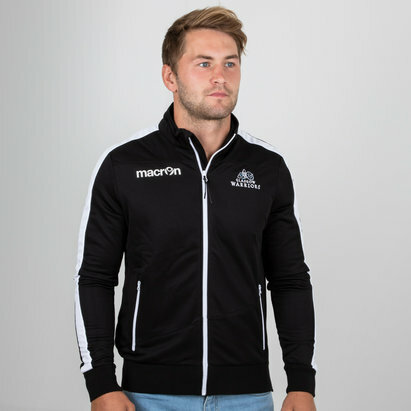 Train to the max whilst staying dry and show your support in this Glasgow Warriors 18/19 Players 1/4 Zip Showerproof Jacket. 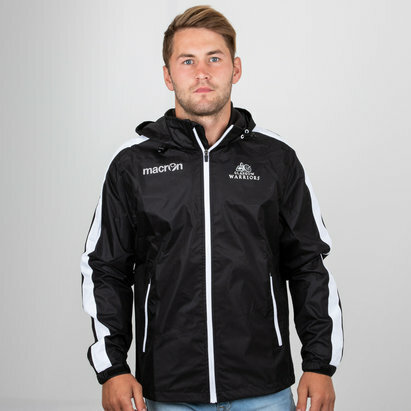 This black rain jacket with a 1/4 zip will keep you dry in the rain and warm from the wind. 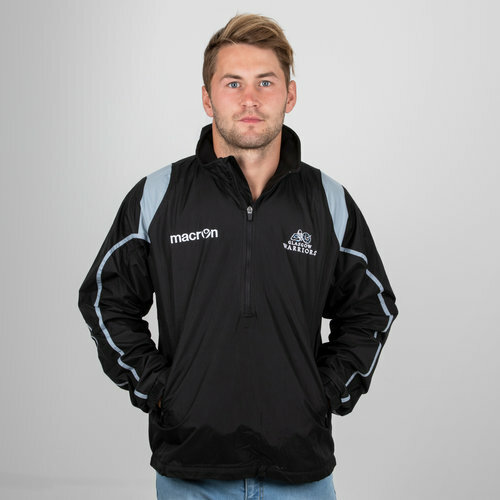 Fitted to sit at the hips with zipped pockets and the Glasgow Warriors crest embroidered on the chest. The Macron logo is in white on the right and printed across the back. This jacket comes with grey detailing on the shoulders and arms.